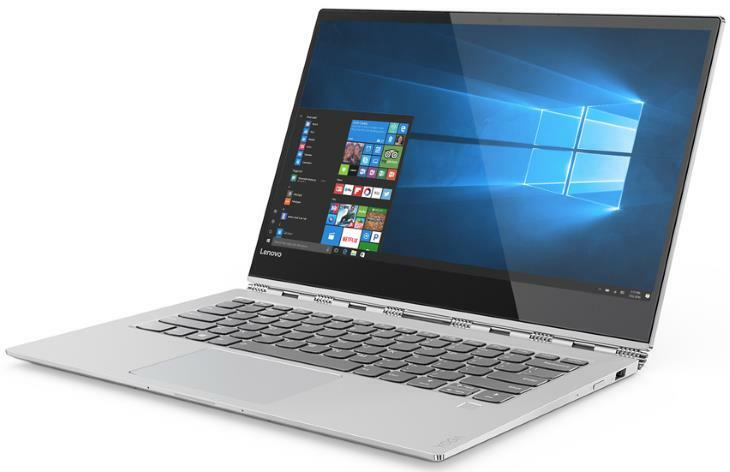 The Lenovo Yoga 920 is a premium-class convertible 2-in-1 Windows notebook. It’s characterized by a 14-inch (more precisely 13.9″) high-resolution touch display with pen input support and thin bezels, ultra-slim aluminum chassis in platinum, copper, and bronze colors, light weight, recognizable wristband-style 360-degree hinge, and backlit-keyboard. 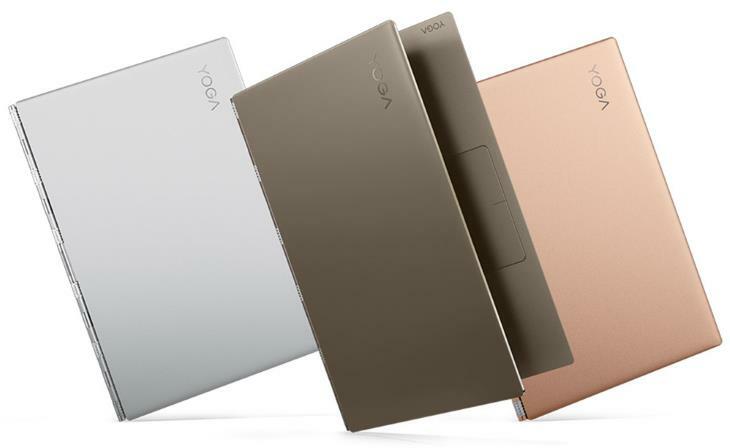 Lenovo also offers the Yoga 920 Vibes limited edition. The Yoga 920 has anti-scratch glass-covered display lid with Vibes of Elegance artistic pattern. Inside, the 2-in-1 packs powerful Intel’s 8th Generation Core processors, capacious system memory options, fast solid state drive storage, and a generous 70-Watt battery. The 3-pound convertible with only 0.5″ thick profile offers sharp picture, thanks to available Full HD 1920 x 1080 and even crispier Ultra HD 3840 x 2160 screen resolution options. Besides finger-touch input, the display supports active digitizer pen input. 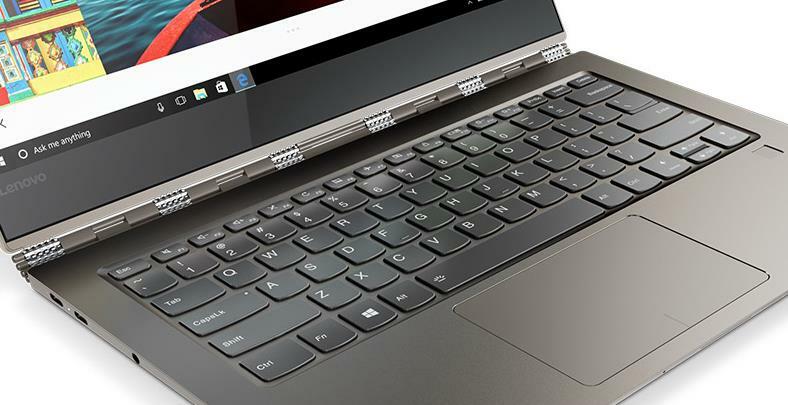 And the Yoga 920 optionally comes with the Lenovo Active Pen 2 providing 4,096 levels of pressure sensitivity. Furthermore, the display features IPS technology for wide viewing angles. Vertical display bezels are only 5 mm thin. The upper bezel is a bit thicker, but houses a web camera. The cam supports HD video quality. The backlit isle-style keyboard is accompanied by a large touch-pad and a fingerprint reader on the keyboard deck easy log-ins and better security. Computing-wise, the centerpiece is the 8th Gen Intel Core quad-core processor – either the i5-8250U or i7-8550U. Both are no-brainers when it comes to regular home and office computing. But, they are also suitable for more demanding work like photo and video editing or music production. Especially if these applications can take advantage of four-core / eight-thread processing. System memory choices are 8GB for worry-free multi-tasking in day-to-day scenarios, and 12GB or 16GB for very demanding multi-taskers. Data storage capacity options are 256GB, 512GB, and 1TB (~1,000GB). They are all based on speedy solid state drives. *Prices as of 10/20/2017 on the official Lenovo Store. Audio is delivered via a pair of JBL-branded speakers. Or, you can use a combo mic / headphones jack to output sound. With headphones connected to the audio port, you can enjoy three-dimensional sound via Dolby Atmos technology. For networking and connectivity, Lenovo has included 802.11AC Wi-Fi wireless, Bluetooth, a pair of compact USB-C ports with support for ultra-fast Thunderbolt 3 data transfers and video output, a standard USB 3.0 port, and the aforementioned combo audio jack. The laptop doesn’t have a built-in media card reader. 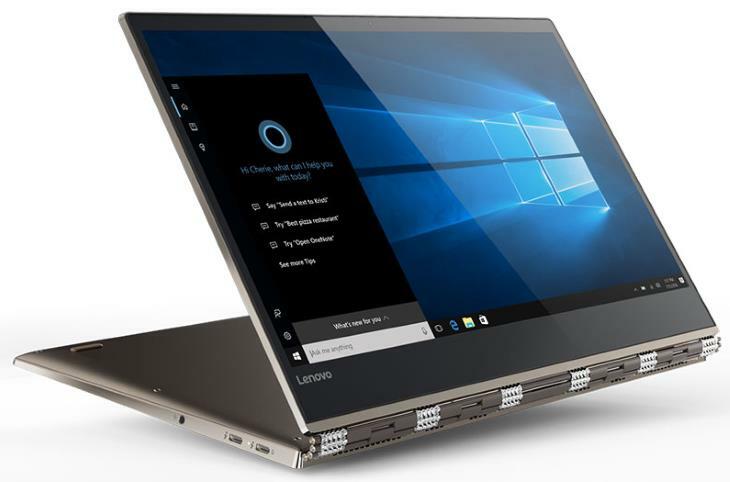 Regarding the battery, Lenovo claims the powerful 70 WHr unit inside the Yoga 920 can enable “up to 15.5 hours” of battery life on configurations with Full HD display. Ultra HD displays consume more power, so battery life on these models is shorter. It can last up to 10.8 hours on them, according to Lenovo. The 2-in-1 ships with Windows 10 Home pre-installed. Here's the specs sheet of the Lenovo Yoga 920. For comparison against other laptops, use the "Compare Specs" button. Yoga 920 Special Edition Vibes comes with a Corning Gorilla Glass material having a wave-resembling design pattern, making the overall look appear tasteful. It seems to be powerful device for everyone.